Photos of trains, railroads, rail, engines, and the mountains they pass through. Moments captured in Jasper National Park and neighbouring British Columbia. 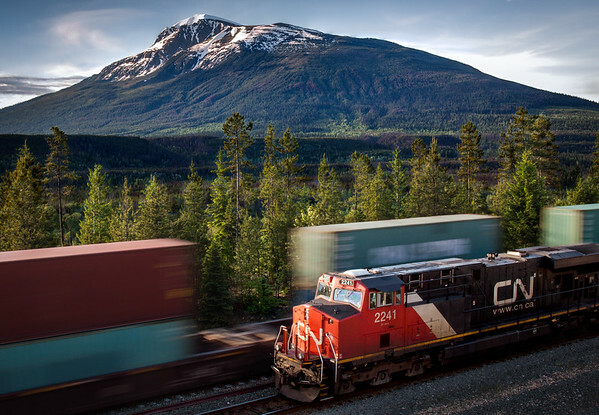 A westbound zooms a parked train west of Valemount BC. Canoe Mountain backdrops this early morning scene on the 2012 summer solstice. CN featured this photo on the cover of their 2013 Calandar.